It’s Friday and Calvin has his best tip heading into the weekend ahead. Round three is just around the corner and after a long week of number crunching, we have decided to put our hours or hard work and research into some tips for your weekend of footy. After a very slow start to the year in round one, Max Gawn came out on fire last week against Geelong scoring 113. This week, he finds himself up against Essendon’s Tom Bellchambers who was convincingly beaten by the lesser known Rowan Marshall (103) in their head to head clash last week. Last time Gawn met Essendon was in round six, and on that day he walked away with 42 hit outs and a game-high 135 Fantasy points, proving that he will be hard to stop again. Odds for Max Gawn to lead the game in Fantasy points and for game by game round specials head over to check out the betting odds by BetEasy. Yes we do. We want more of what Adam Treloar served up last week when he had 39 disposals and 152 Fantasy points. vhis week, Treloar finds himself up against the reigning premiers. A team he scored 115 against in the Grand Final last year. You can track his scores line at dtlive.com.au. 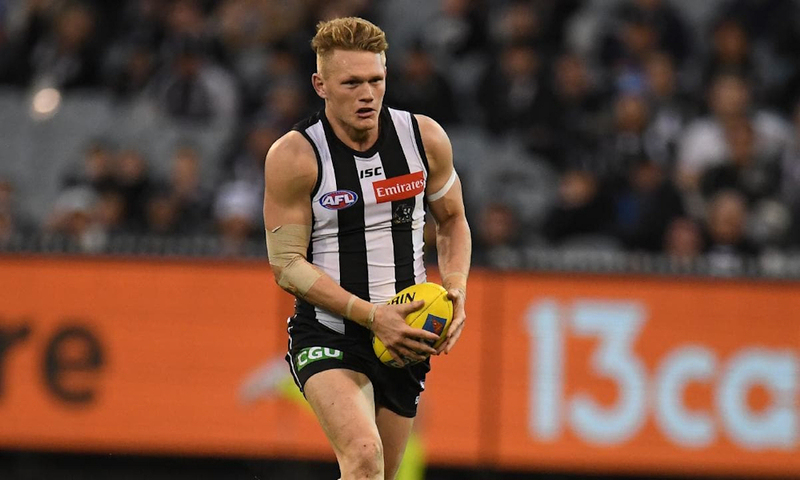 With the dangerous Mark Hutchings most likely set to tag Steele Sidebottom again, Treloar should be left to do as he pleases on Saturday night. Last week, multiple Collingwood players took double-figure marks against Richmond in what was one of the highest scoring Fantasy games in history. They included… Crisp (142 Fantasy points), Mayne (131), Phillips (116), Mihocek (115), Roughead (106) and Howe (100) who all had a day out and this week it will be Lachie Whitfield’s turn. Whitefield scored a career-high 150 (13 marks) against Richmond last year and is coming off an impressive 133 (13 marks) in round two. He’s perfectly named on a wing and will run free all day. On Saturday, at 7:25pm Tom Rockliff returns to his former home ground, The Sty. Commonly known as the GABBA to others, Rockliff made this place his fortress for many years as he feasted on Fantasy points. After a slow 2018, he has started the new season on fire with scores of 115 and 166. Last time he played his former team, Rockliff managed just 78 from 19 possessions. Things are now very different than what they were last year though, and the Fantasy Pig will be up to his old tricks once again. Fresh off a game-high 36-disposals against Hawthorn, Jack Macrae will only find it easier this week when the Bulldogs host the Suns at Marvel Stadium. Macrae is a renowned ball magnet who accumulated 40+ in four games last year with one of them against the Gold Coast Suns in round seven.